Few things can change an average day faster than a bout of diarrhea. 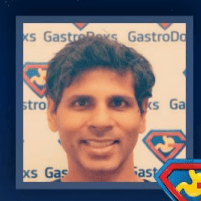 At GastroDoxs in Cypress, North Houston, Texas, Dr. Bharat Pothuri leads a team of medical professionals in Greater Houston dedicated to helping people move beyond the discomfort and inconvenience of chronic diarrhea. With convenient online scheduling, there is no better time than now to regain your optimal digestive health and function. Is diarrhea a serious medical condition? Everyone experiences diarrhea at some point, but it usually passes after a few days. When diarrhea persists, however, it can cause several serious problems. In the early days of the United States, it was not uncommon for diarrhea to lead to life-threatening conditions. Dehydration was among the most severe and resulted in the death of many early Americans. Diarrhea continues to be a deadly matter in some parts of the undeveloped world. Today, diarrhea is a condition that is easily treatable. Dr. Pothuri urges Greater Houston area residents to seek medical care any time that diarrhea persists for more than two days or is accompanied by severe pain. Dark or bloody stools, along with signs of dehydration, should also prompt a call to GastroDoxs. What are some common causes of diarrhea? Diarrhea can have numerous causes, which is why it can be challenging to find relief on your own. An intolerance to lactose or sensitivity to various artificial and natural sweeteners can often cause simple cases of diarrhea. Viral infections can also lead to diarrhea, especially rotavirus, Norwalk virus, and viral hepatitis. Bacterial infections can also play a role, including salmonella and E. coli. Some people suffer from diarrhea after abdominal surgery or due to a gastrointestinal disorder. Taking antibiotics can also cause diarrhea because these medications destroy both the good and bad bacteria that live in the human body. What are the treatment options for diarrhea? When you come to GastroDoxs for relief from chronic diarrhea, Dr. Pothuri performs a comprehensive exam. He then creates a customized treatment plan to address your particular needs. Dr. Pothuri might recommend additional screening, including a stool sample or a procedure like flexible sigmoidoscopy or colonoscopy. The results of those tests may uncover more serious conditions that require treatment. Dehydration will be addressed by boosting your intake of water, electrolytes, and salts. Severe dehydration is treated with intravenous hydration. Some people find relief through adjustments to their prescription medication. We are conveniently located in Greater Houston and look forward to meeting you.